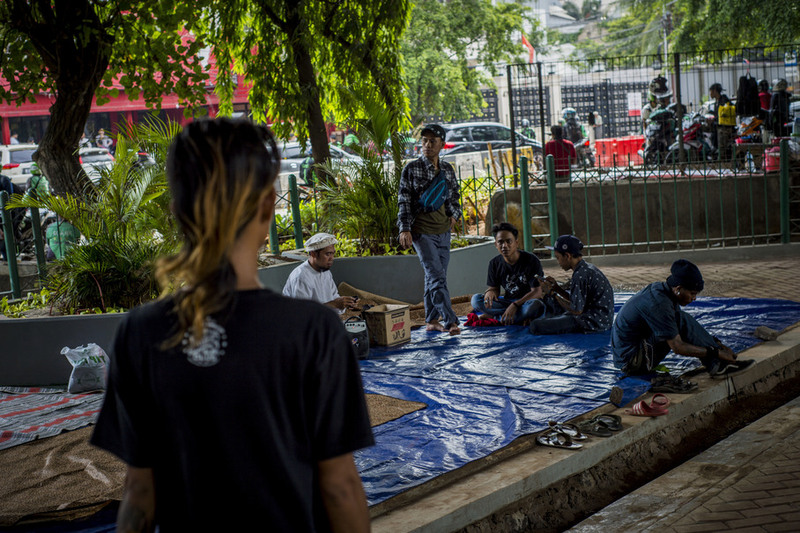 Street punks gathered for a weekly meeting below an overpass near Tebet train station in South Jakarta on Dec. 21 to attend a class presented by the Tasawuf Underground, a group that seeks to teach them about Islam. 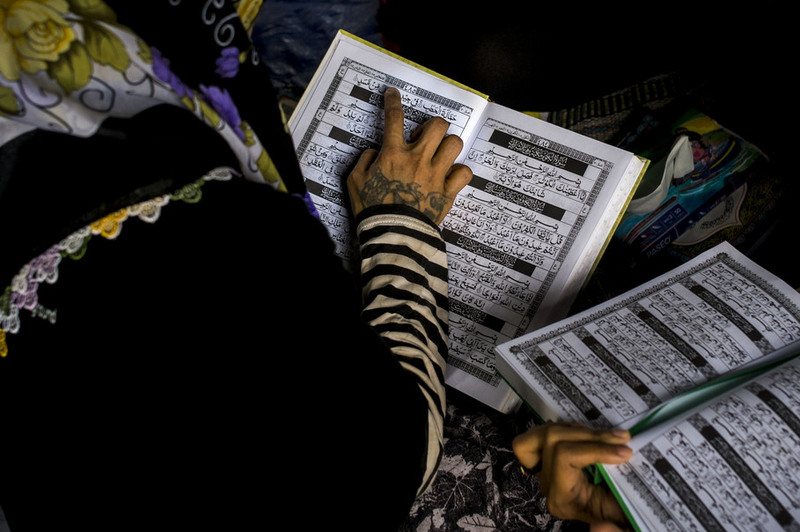 People of all ages attend the classes every Friday and Saturday to learn how to read the Koran in Arabic, despite their tattoos and piercings, which are considered haram, or forbidden, in Islam. The Tasawuf Underground operates in different parts of the city to maintain harmony between various groups of punks, who often do not get along. The classes were initiated by Muslim cleric Halim Ambiya, who has been mobilizing the Tasawuf Underground in Jakarta over the past three years. The movement's ultimate aim is to persuade street punks to lead more meaningful and constructive lives, instead of busking and abusing drugs. 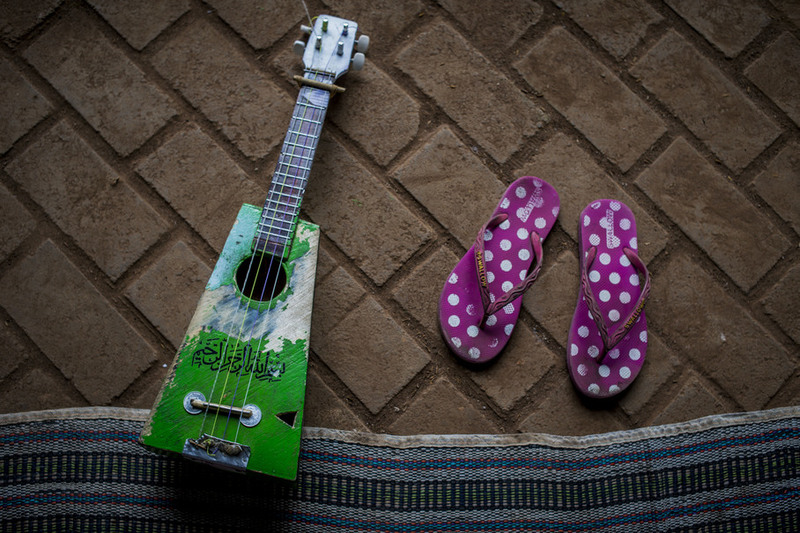 They are not only taught to read the Koran, but also provided with counseling, general knowledge, soft skills and an informal education to give them a better chance in life. The operational costs are covered by donors from across the country, connected through social media. 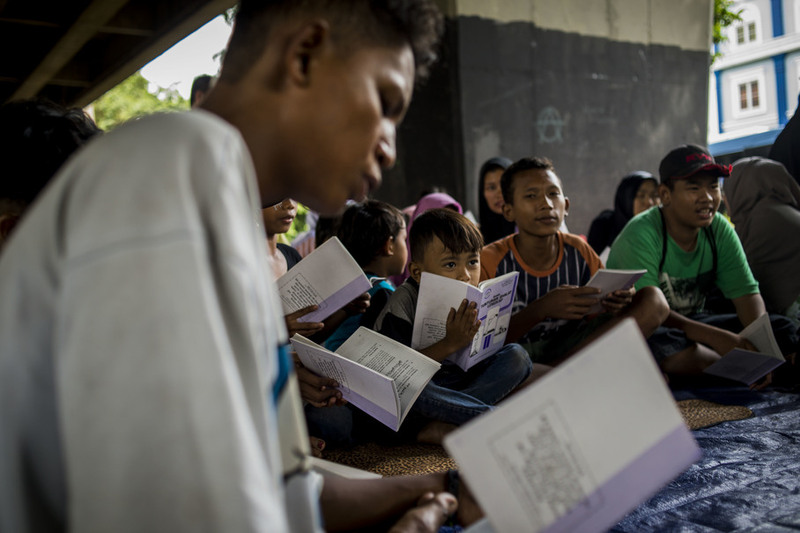 Before expanding to Tebet, the community presented classes in Tanah Abang and Kemayoran, with some former students going on to become baristas, tailors and entrepreneurs. 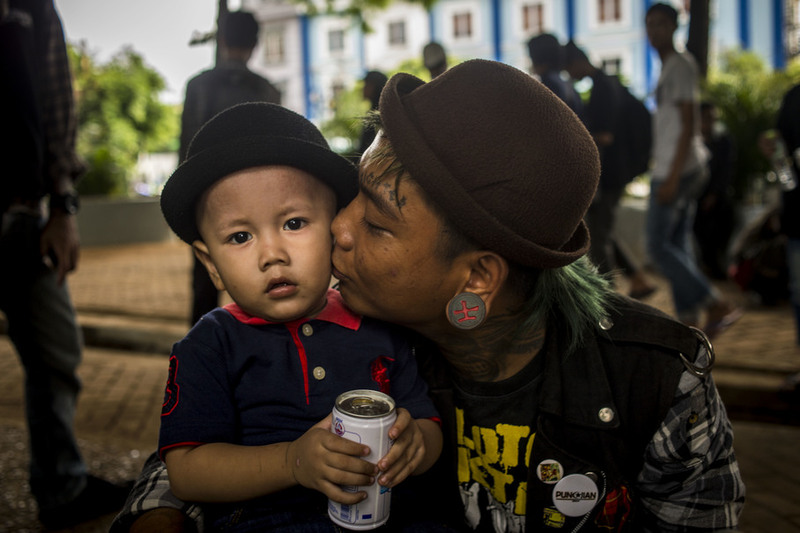 While punks in Western countries often promote anarchy and challenge capitalism, most street punks in Indonesia are limited to merely imitating the look, with an underlying hint of rebellion. However, most Indonesians have a negative view of street punks due to their unusual lifestyle, which is at odds with established norms.